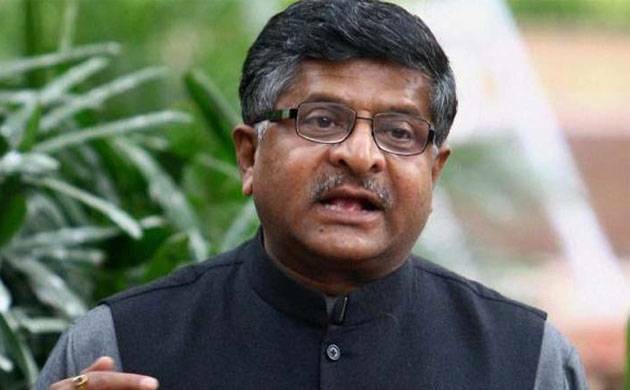 Muslims do not vote for the BJP, but the government has given them “proper sanctity,” said Union Minister Ravi Shankar Prasad on Friday. “We have got 13 chief ministers of our own. We are ruling the country. Have we victimised any Muslim gentleman working in the industry or service? Have we dismissed them? We don’t get Muslim votes. I acknowledge very clearly, but have we given them proper sanctity or not?” Prasad asked at the Mindmine Summit here. “We salute diversity and culture of India. There are two ways of looking at it. Let me be very frank today. There has been campaign against us for a very long time, but today we are here because of blessings of people of India,” Prasad said. “We never saw religion of Haque or whether he voted for us or not. If there are certain uncalled for voices, the Prime Minister addresses the concerns, the CMs (chief ministers) address concerns. Yogi (Adityanath) is a popular leader. You are seeing his instances of good governance and inclusive development,” Prasad said. The minister said he has issues with those in the Left and journalists spreading “hatred” against Modi. “We have a problem with some of our friends. Mostly, the Leftist friends and journalists who entertain a pathological hatred against Narendra Modi. Good luck to them,” Prasad quipped. According to Prasad, the Left is “left out” all over the world and had been defeated in India. “They are left out in Bengal, are surviving in Kerala and Tripura, but the Left has got a very good campus in Delhi, which is the JNU (Jawaharlal Nehru University) and I always say the Left also needs some consolation prize. So, JNU is their consolation prize, we don’t mind that,” Prasad said. India is in the third phase of political evolution where people are looking for “politics of aspirational reality with good governance”. “People of India know they can unseat any political party howsoever popular any political leader howsoever popular. This realisation brings about a different kind of humility. You better learn to perform and trust people. Otherwise, they will show you the door and they have been showing the door,” Prasad pointed out. He is of the view that the politics of ‘want’ relating to breads and of ‘identity’ based on caste, community, religion and region is over now.